OTHON led the design effort for a six-lane bridge featuring two 90-foot spans carrying Sienna Parkway Boulevard over two railroad tracks. The BNSF and HL&P railroad rights-of-way each span 100 feet and run through one of Texas’ largest master-planned communities, Sienna Plantation. The bridge, on a horizontal curve, used prestressed concrete Type “C” beams with 8 inches of concrete deck and 6 inches of raised median and sidewalks. 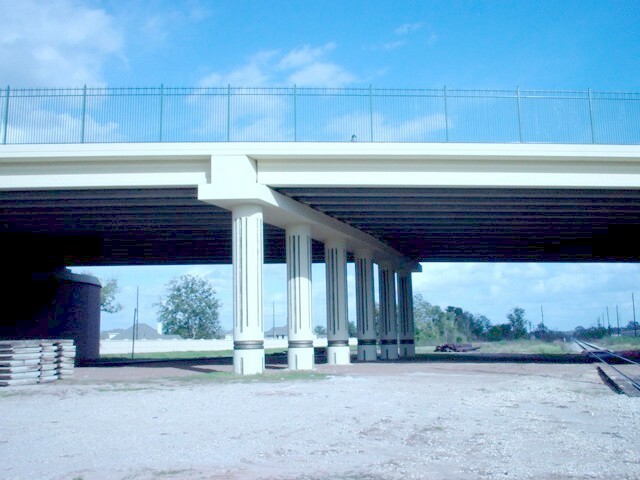 The substructure featured round columns, an inverted-T bent cap and drilled shaft foundation. 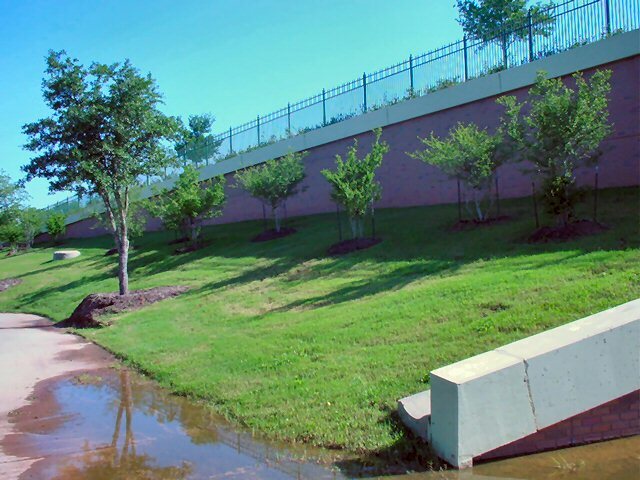 Extensive soil strengthening was implemented by using Geo Piles to increase the bearing capacity and reduce soil consolidation and settlement due to the high embankment.